A business opportunity for individuals who want to run an Educational clinic or centre and experience a profound sense of fulfilment by seeing children, who previously struggled with reading and learning, reach their full potential. 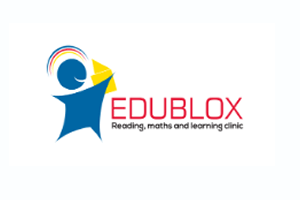 The first Edublox reading, maths and learning clinic was established in February 2007 — the culmination of 30 years of experience in practice, and the combined efforts of 50 years of intensive research about reading and learning. Over the last three decades, we have helped thousands of learners, not only in South Africa, but worldwide. Some of our programs are exported to various countries, but the newest, latest and best techniques and methods are used and presented exclusively at the Edublox clinics, and now also in the streamlined business offering in the form of Edublox reading and learning centres. In choosing franchisees, preference will be given to applicants who: have experience in working with/teaching children (mainly primary school children), hold a tertiary qualification, preferably in the educational field, and who love and communicate well with children. Clinic franchisee training – 12 to15 days – covers the following topics: Theories on learning and learning disabilities, Learner assessment, Presenting the group and computer classes, Marketing and sales, Business processes and systems. After the training, distance coaching for three months is provided by means of VOIP and IP video camera technology. Centre franchisee training consists of three days on-site, and two days remote training. Edublox Clinic Option: Setup fees of R 174 300-00 are needed to start your own Edublox Clinic franchise. A monthly management fee that constitutes 10% (excluding VAT) of the franchisee turnover is payable. Working capital required is determined per franchise application. Edublox Centre Option: Setup fees of R 49 750-00 are needed to start your own Edublox Centre franchise. A monthly management fee that constitutes 15% (excluding VAT) of overall turnover is payable. Working capital required is determined per franchise application.